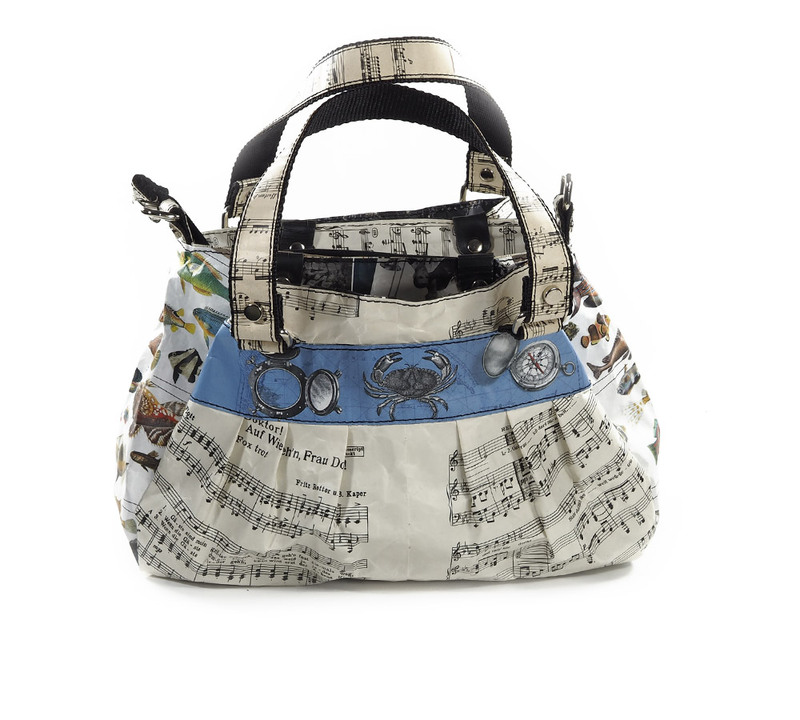 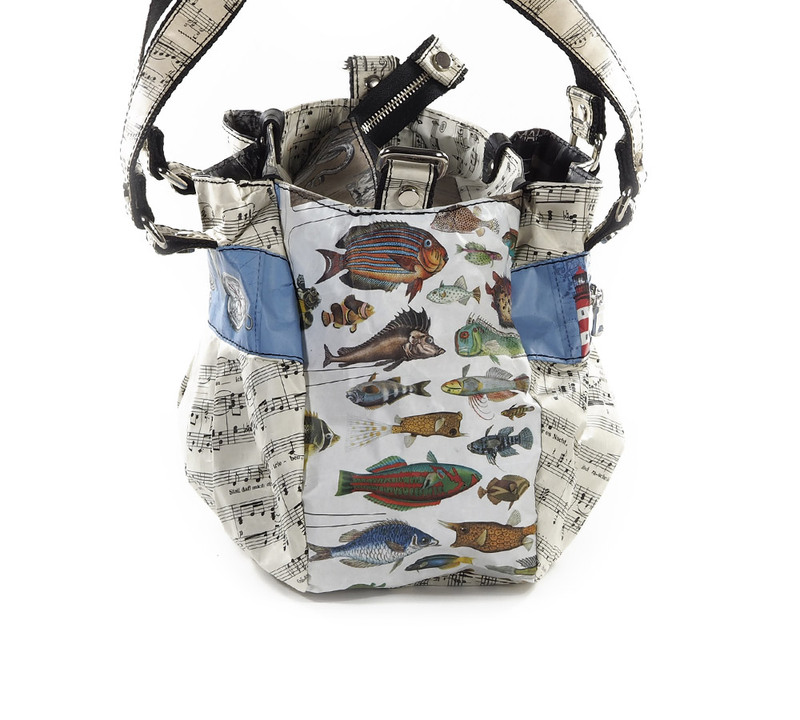 Austrian Music Scores Bag made with 85% recycled materials. 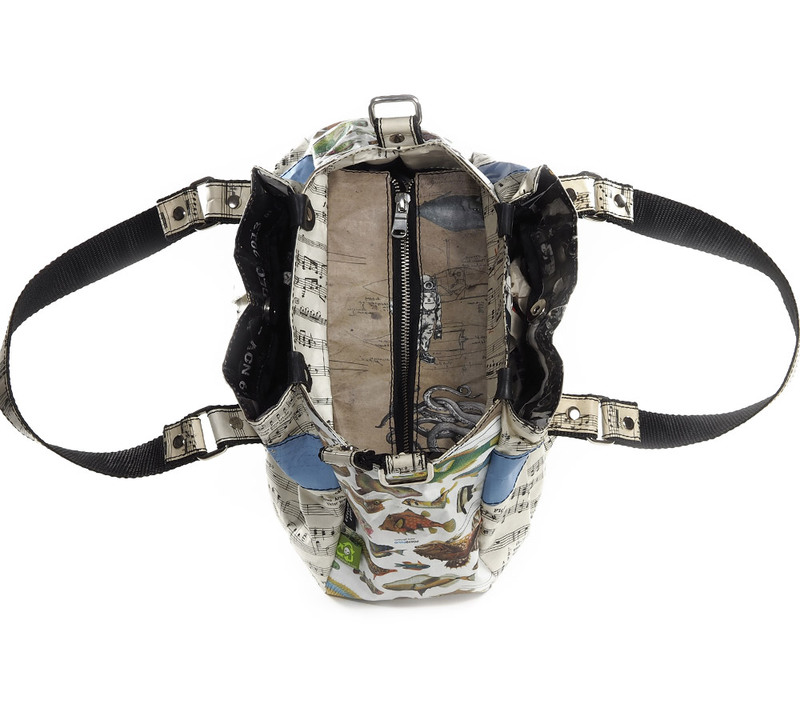 bag containing:A security zipper pocket outside, two sectors with magnetic buttons. 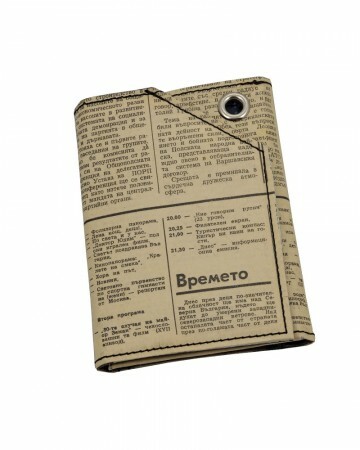 A security zipper pocket for documents and money inside. 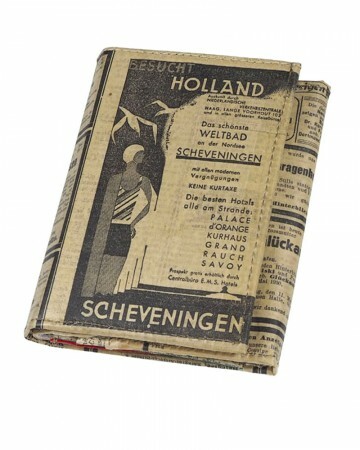 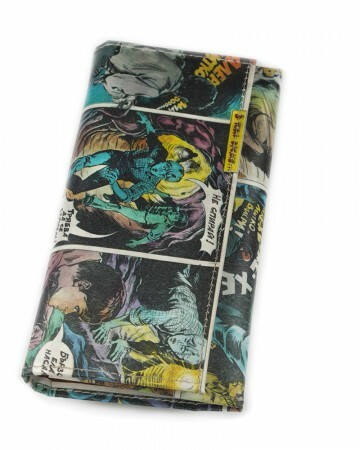 Two pockets inside made out of poster for telephone, cigarettes or cosmetics.Two handles :You can adjust the strap length adjustment range of 80 to 160cm. 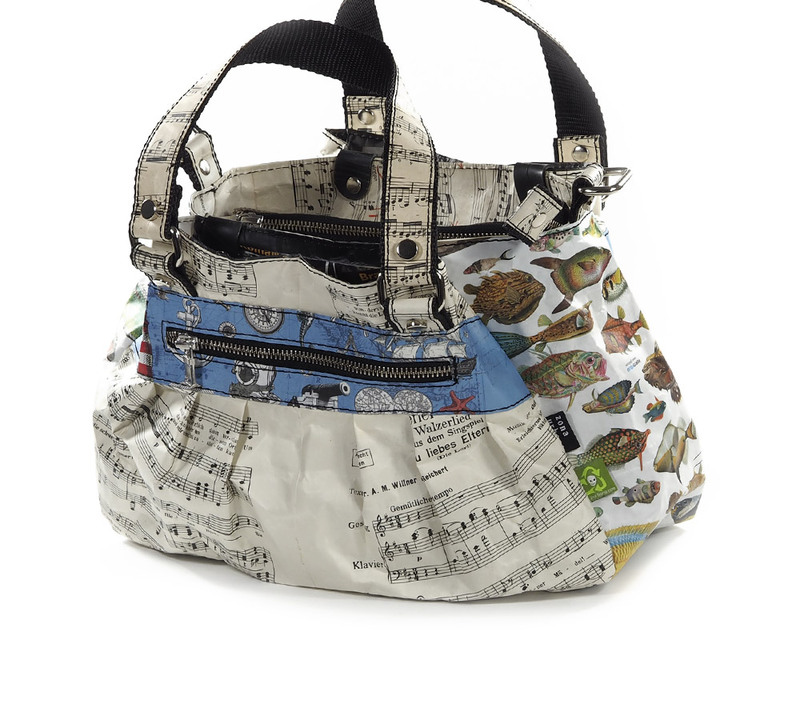 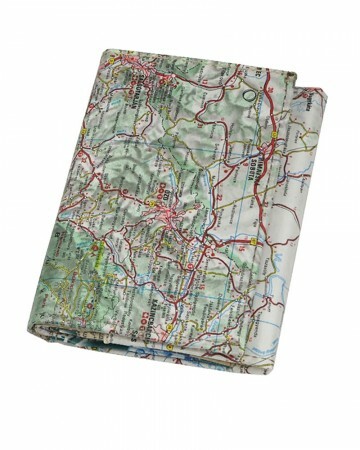 Categories: Recycled Bags, 544 Belle Epoque Bags. 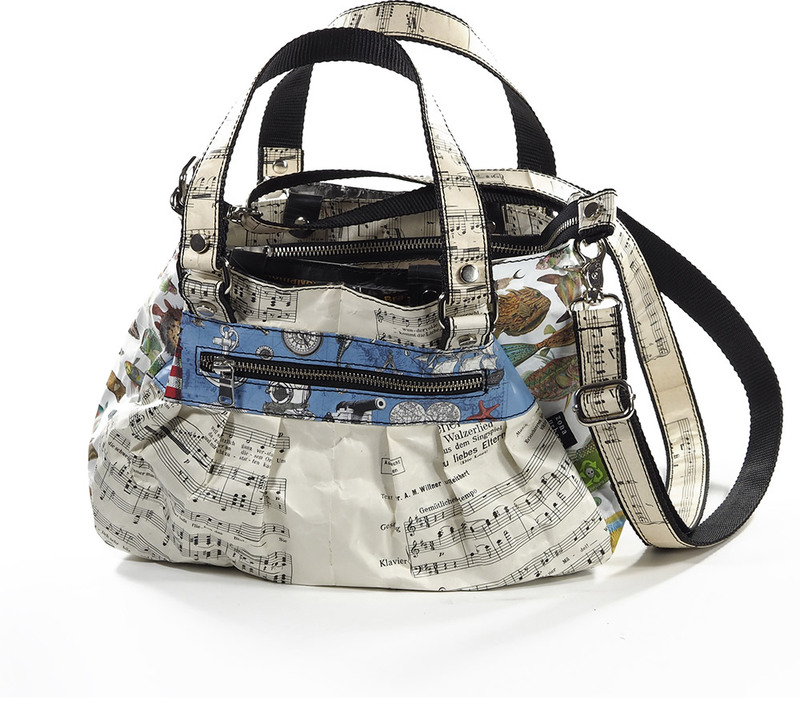 Tags: BillBoard, car inner tube, music scores, Newspaper, Posters.